Seasonal recipes, decor & design ideas, things we love, clients "dish", venue highlights & what's hot now. Here are some playful and elegant holiday center pieces and table top ideas for the celebratory weeks to come! Create a winter wonderland in the center of your table. Place a minature shrub or tree in the center of your table. 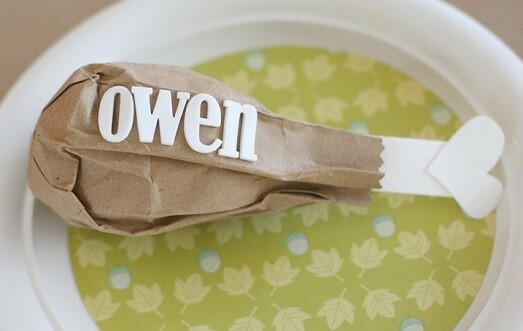 Cover the pot with a piece of brown paper and a ribbon. Lay faux snow around the pot of the plant and sprinkle some onto the leaves of the plant. (Buy the snow that has a bit of sparkle already built in to catch your guests’ eyes!) 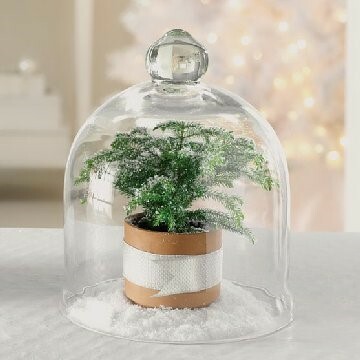 Lastly, place a glass dome over your mini winter wonderland. Have some old garland or ornaments away in storage? 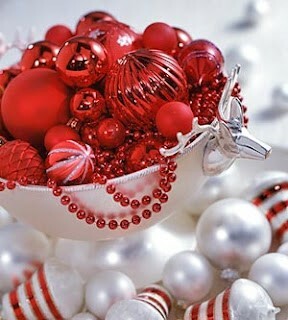 Fill a festive bowl filled with various ornaments and garland in one color make an elegant centerpiece for any holiday. This centerpiece not limited to Christmas. You could fill your bowl with blue, gold, white, or silver ornaments for a wintery chic look. 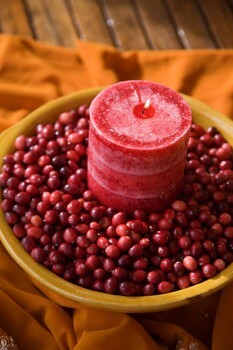 Cranberry Flowers: this This simple and sweet centerpiece will not get in the way of dinner or conversation. Simply lay a table runner in the center of your table, place three cognac glasses on top of the runner, fill the glasses with cranberries to the rim, and place one flower on top of the glass. Try to pick a flower that is full in appearance to cover the entire top of the glass. Try a Carnation, Chrysanthemum, Phlox, Queen Ann’s Lace, or Statice, all of which are in season. Turkey Leg: This playful turkey leg is perfect for letting the kids know where to sit at the kid’s table! Using a brown paper bag, push in the bottom corners twisting the bag into desired shape. Use carstock to create the “bone” and precut letters to spell out each guest’s name. You can fill these “legs” with newspaper, popcorn, or candy! Organic Napkins: This simple napkin display also doubles as a place setting. 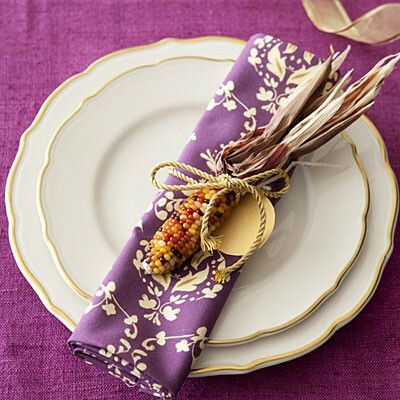 Place the wheat onto your rolled napkin, tie it together with twine (wrap it at least 2 times to keep the pinch). Before you tie a knot with your twine, attach a name charm. You can also replace the wheat with mini ears of dried Indian corn for a more colorful display. 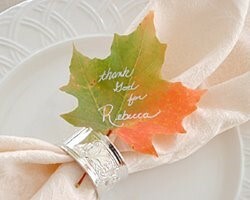 Printed Leaf: Love your napkin rings and want to show them off this thanksgiving? 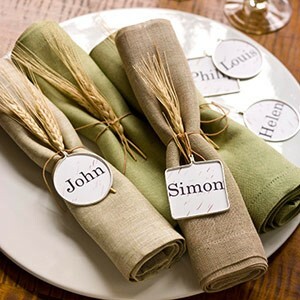 Add a bit of an earthy tone to them by inserting a leaf with your guests’ names written on it with a white paint pen. Why not go organic and use some of the beautiful fruits of nature in your home this autumn? Here are a few centerpiece ideas that will bring nature and you home into perfect harmony, while impressing your guests. If you are for a simple centerpiece that offers some depth and texture, here it is! 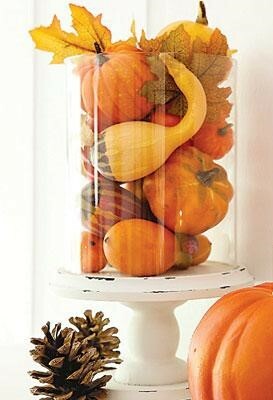 Only one simple step to this centerpiece, fill your cylindrical glass with various small pumpkins, gorges, and a few artificial leaves. Make sure to clean the gorges and pumpkins before pilling them in the container. This simple centerpiece will bring warmth to any table. Place a candle on a dish. You could use brown (like the picture) or you could mix it up and use some earthy oranges or blues. 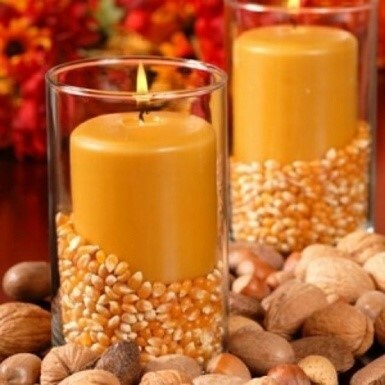 Make sure to use a candle that is at least 6 inches wide and similar in height to your Indian dried corn. 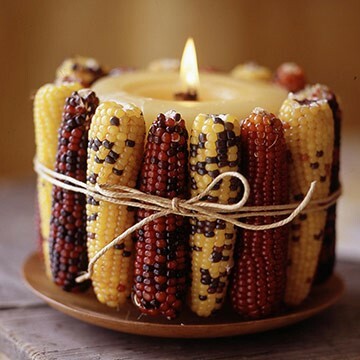 Have a friend (or two) hold the Indian dried corn against your candle as you carefully wrap twine around the corn. Wrap the twine at least three times around the corns. Before you finish, make sure the twine is in the center of the corns and finish it off with a bow. 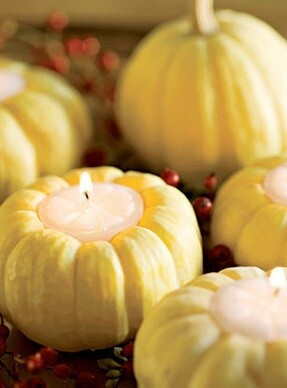 A few of these mini pumpkin candles would make a great centerpiece for any fall event. There are many ways to ultimately have the centerpiece in the picture below, but we are going to share the simplest way to quickly make these for your next party. Measure the width and height of the tea lights you bought to place in your pumpkins. Break off the stem of your pumpkin. Trace a circle with the same diameter as your candles on the top of the pumpkin (where the stem once stood). Using the measurements you took earlier and a carving knife and spoon, gut out enough space for your tea light. When you are finished clearing a space for your light, pop one in and enjoy! Check out these easy at home center pieces and table top ideas to add some warmth and comfort for those increasingly chilly nights. This may be the best popcorn has ever looked! Lay a layer about 1 inch in height of un-popped popcorn in the bottom of a tall glass container. Next, lightly place a large mustard colored candle on top of the layer of corn. Continue to fill the container with the corn to the halfway mark. Slide a paper towel into the glass to move the corn into designs to avoid finger prints. Use a variety of lively colored bowls you already own to create this elegant budget friendly centerpiece. 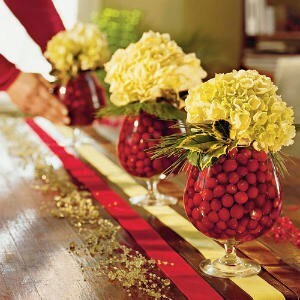 Simply fill the bowls with cranberries and insert a matching or complimenting scented candle ( try citrusy orange). Having festive drink options for your guests can take your party up a notch. 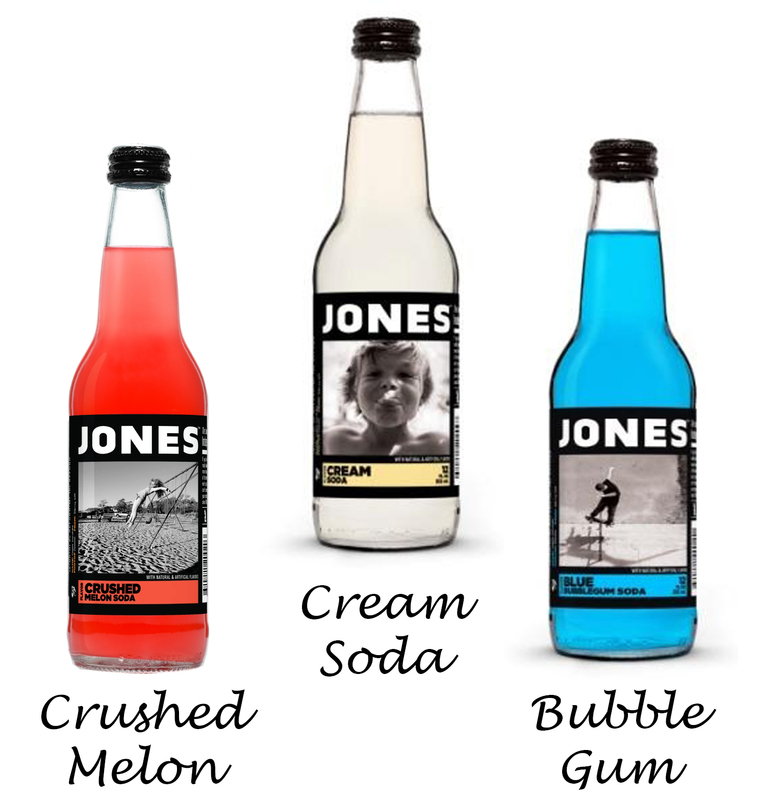 Our favorite way to do this is using Jones’ sodas and fun customizable drink wrappers, check it out! To find the nearest distributor near you, visit Jones’ website. You are all set to celebrate in style! 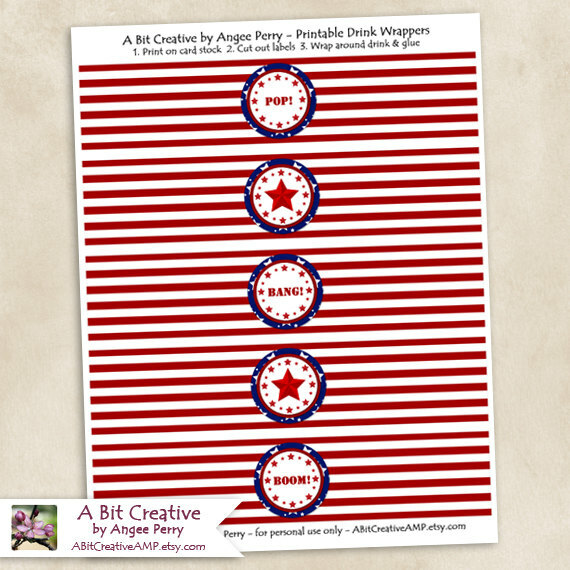 The Fourth of July is right around the corner. Today we have a cute project for celebration, Homemade Party Popper! Cut a piece of heavy paper into a 6” by 1 ½” strip. Roll the piece of paper into a tube and place it inside the push up pop. Stuff your push up pop, as full as you can, with various confetti. Cut a 4” square of tissue paper and tape it to the top of the push up pop. Wrap decorative paper around the outside of the push up pop. Tape it securely in to the push up pop in the back. 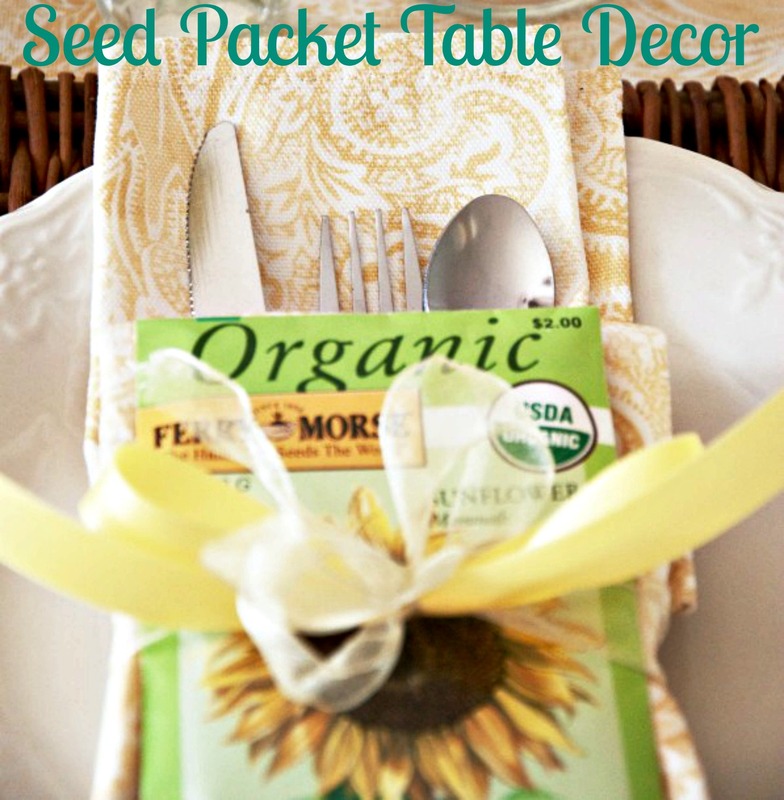 By using a colorful seed packet as table decor you give your guests a small gift of seasonal joy!